Michelangelo showed an early fascination with the arts, but was discouraged from actively pursuing that interest by his family. Research papers about Michelangelo can cover his works of art, his life or the style of painting and sculpting he did. Art can be difficult to explain so have the writers at Paper Masters that specialize in artists and art history help you with your research. Michelangelo’s father was a Florentine and a member of the class of gentry who have come down in the world. Born in 1475, Michelangelo showed an early fascination with the arts, but was discouraged from actively pursuing that interest by his family. However, in 1488 they acquiesced to his choice and placed him in the studio of Ghirlandaio. There he was discovered by Lorenzo the Magnificent and went to work in the Medici palace. Here he was surrounded by influences—artistic and otherwise–of the most cosmopolitan kind. In 1492 Lorenzo died and Michelangelo left the court of his successor. Florence underwent a period of political tumult and Michelangelo traveled to Rome and Venice and absorbed some of the culture of those artistic centers. When he returned to Florence in 1501 he embarked upon what Chastel has characterized as the first of three great creative periods. The third period involved work in Florence and Rome. In the latter part of his life Michelangelo’s work displayed a turning away from the classicism of the Renaissance and there can be seen in the later work much that seems to foreshadow the Baroque era. At no point in his career was Michelangelo’s art in stasis. Some relentless force within him-–and this is very much and attribute of his genius—was continually pushing him forward in the direction of new ideas and methods. In 1492 Lorenzo died and Michelangelo left the court of his successor. Florence underwent a period of political tumult and Michelangelo traveled to Rome and Venice and absorbed some of the culture of those artistic centers. When he returned to Florence in 1501 he embarked upon what Chastel has characterized as the first of three great creative periods. The first was marked by such works as the David; the second by the painting of the ceiling of the Sistine chapel for Pope Julius II; the third period involved work in Florence and Rome. In the latter part of his life Michelangelo’s work displayed a turning away from the classicism of the Renaissance and there can be seen in the later work much that seems to foreshadow the Baroque era. At no point in his career was Michelangelo’s art in stasis. Some relentless force within him-–and this is very much and attribute of his genius—was continually pushing him forward in the direction of new ideas and methods. At the age of 60 Michelangelo executed for Pope Paul III the painting, The Last Judgement. Here the emphasis is upon figures that, in Chastel’s words, are “leaping beyond bounds”. Speaking of the painting as a whole, Chastel states that it “is the entry into the pulsing movement of baroque.” The classical ideal of balance, both emotionally and pictorially has been abandoned. There is an enormous amount of high emotion—one might call this picture “sensationalist” in tone—and the monumental scope of the painting, and the monumental figures as well, seem to reject classical doctrines of proportion. Barnes notes that at least one twentieth century critic has seen this painting as an expression of emotional agitation, the work of a man no longer secure in his vision of the world. In his last years architecture and sculpture had a prominent place in his work. At the time of his death, in 1564, he was at work on a stone Pieta, a work of profound religiosity in which the figure of Christ, in Hartt’s words, “floats effortlessly, weightlessly in her [the Virgin’s] arm, as if this were less the entombment than the Resurrection.” There is a deep spirituality to be observed in all of Michelangelo’s work, but this work of his, in my opinion, expresses an almost Gothic piety. The statue is marked by simplicity of composition and an ascetic quality (note the leanness of Christ’s legs) that is more in conformity with the Age of Faith than with either Renaissance or Baroque sculpture. 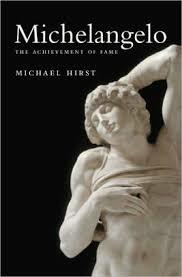 Paper Masters writes custom research papers on Michelangelo and discusses aspects of his life, artwork and influences.